Posted byKate	 2/8/2009 1 Comment on Wow, One Month Old! Xander’s first month just zipped on by! He’s already outgrown most of his “newborn” size clothing and we’re almost to the point of adjusting where the straps are on his carseat. Growing like a weed! His head is still pretty wobbly, but he can lift it and turn it to look around. He also can focus on you and try to follow you with his eyes as you move. We had visitors to help celebrate his first month-day. 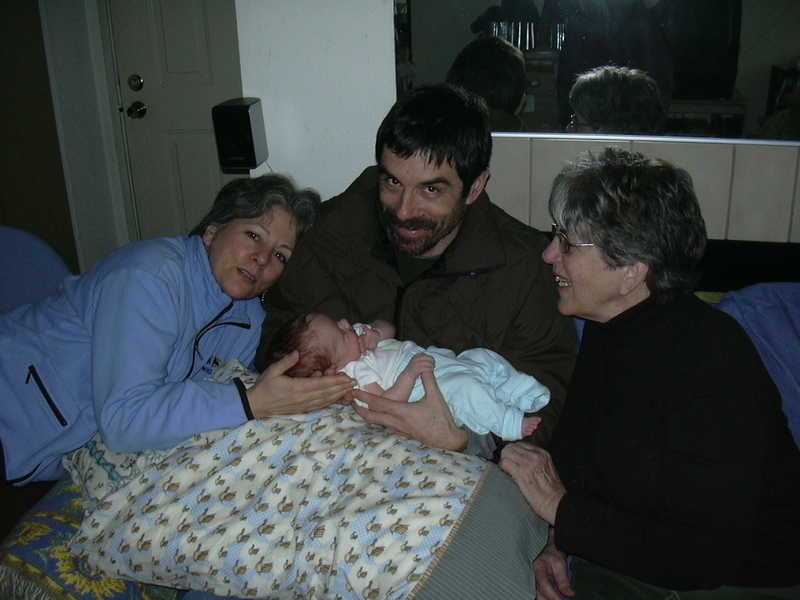 Mom and Julie were at the hospital when Xander was born but this was the first time my brother Chris got to meet Xander. 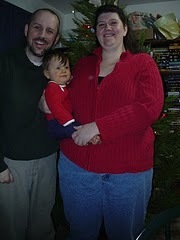 We had a nice visit, opened great presents, and went out for a yummy lunch.